Tables. 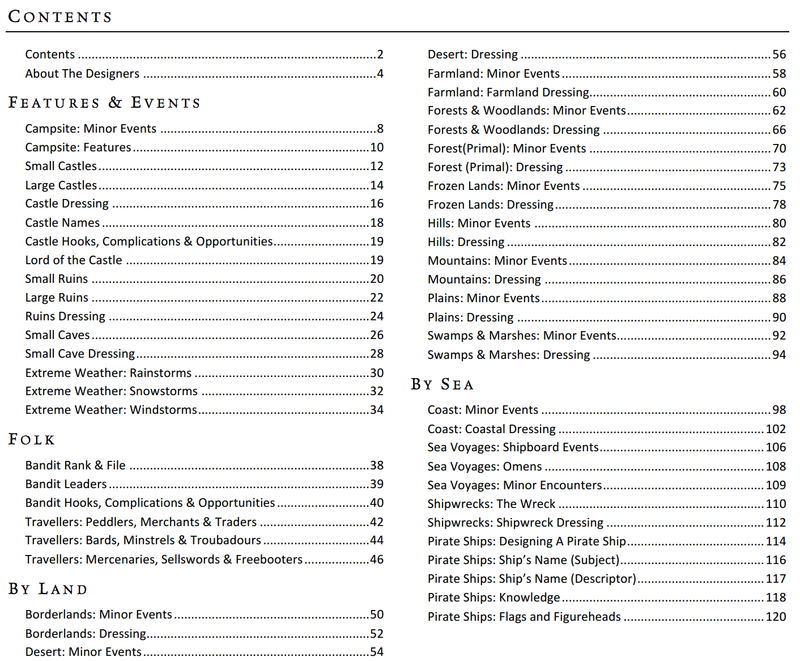 It seems like everyone is publishing tables these days. 101 Names for the Tavern Keeper's Wife is probably on sale somewhere. I like tables but they need to be useful. GM's Miscellany: Wilderness Dressing (System Neutral Edition) is extremely useful, especially if you like to run sandboxes as a DM. That's a sandboxing DMs treasure trove of content. Hell, the Folks section alone is giving me about a half dozen hooks I'd like to use and that's from just a quick read. There's lots of stuff to love here if you are on the improvising side of the gaming table. Much of this has appeared previously in individual releases. GM's Miscellany: Wilderness Dressing (System Neutral Edition) is a compilation of those releases and some new content, but if you have the prior releases the added value might not be enough to justify the complied purchase. GM's Miscellany: Wilderness Dressing (System Neutral Edition) is currently $8.39 in PDF. Or even cheaper if you are on the Raging Swan patreon. Raging Swan's GM's Monthly Miscellancies are good, too, and for free. Pathfinder, but no stat blocks ;). 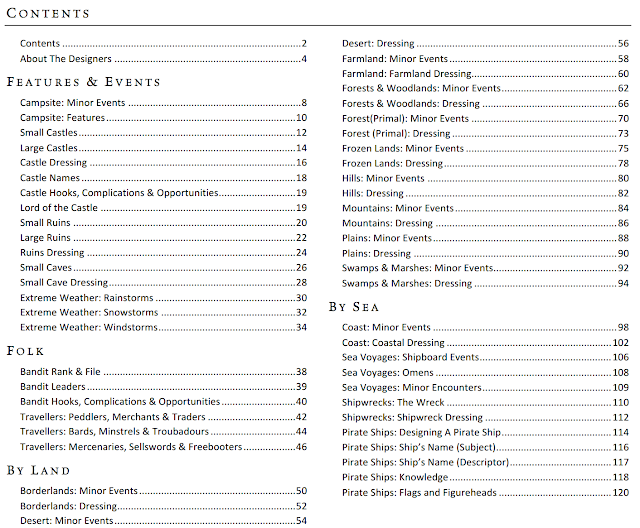 I think in almost each one there is a description of a small village and some random tables and stuff. I like. Raging swan also has a money-back option if you buy it and don't like it.